You asked for it so I'm Bringin' the snow! For my small Khador force I built for the kids in my club and for the display and army pieces I have built for my friend Erik (see here, here and last weeks build here for a couple more examples...) I have used a really effective looking, simple and cost effective snow terrain basing method that a lot of people have asked me about. So here it is! This is where you add gravel, sand, rocks or what have you - basically all the ground textures. 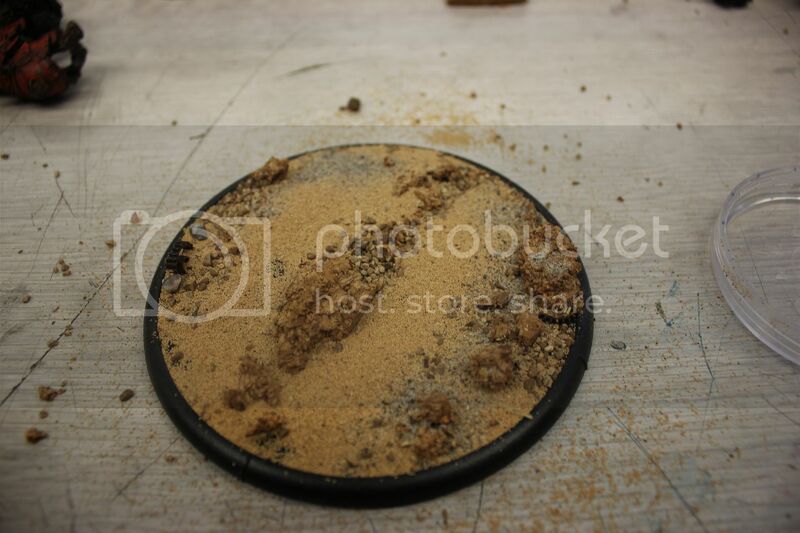 I mostly use a mixture of Gale Force 9 basing stuff. 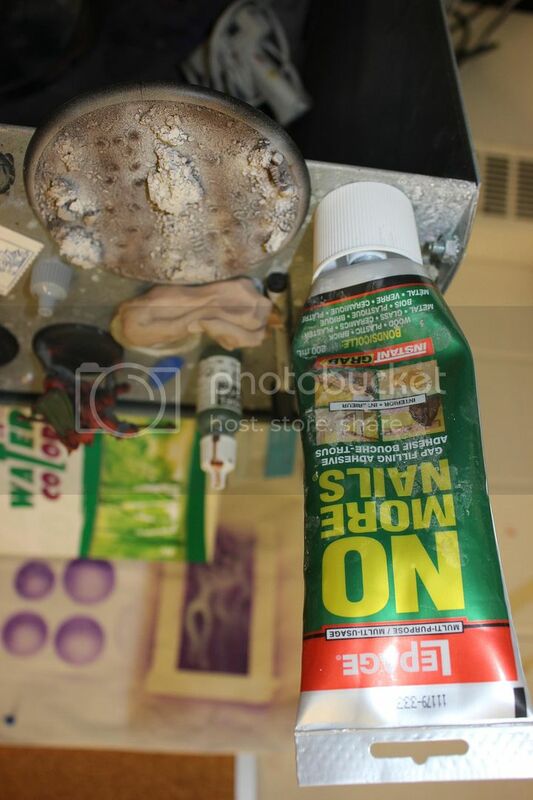 While most people put down a layer of PVA glue - I thought I'd show you something a little different here that can be used on its own or in concert with PVA when building in layers. 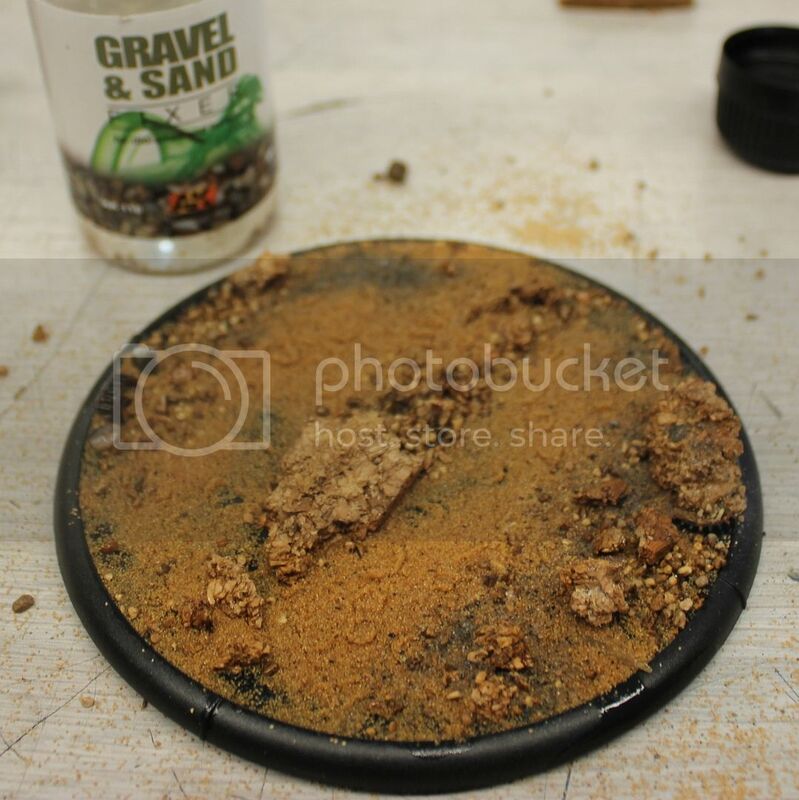 Gravel and sand fixer is a super cool product offered by both AMMO of Mig Jimenez USA and AK Interactive. 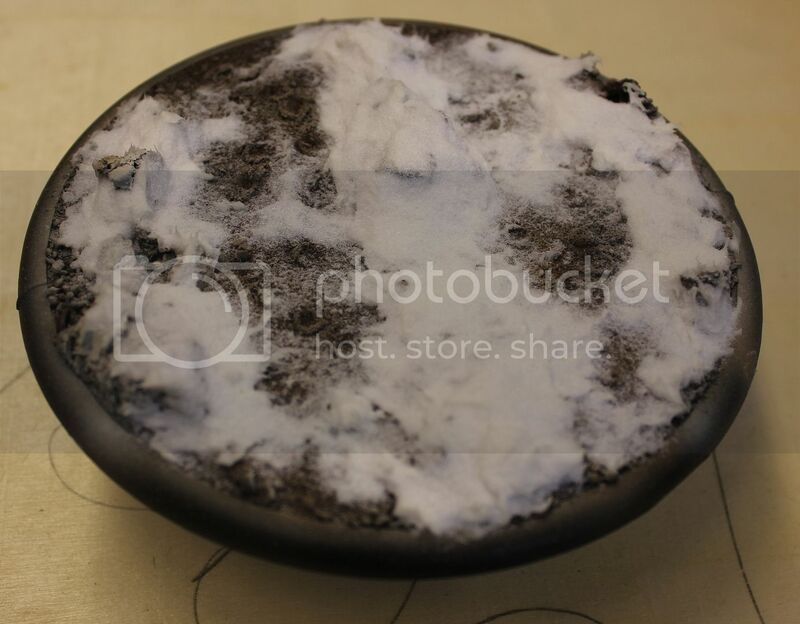 To use it, instead of layering glue, arrange your surface textures first. 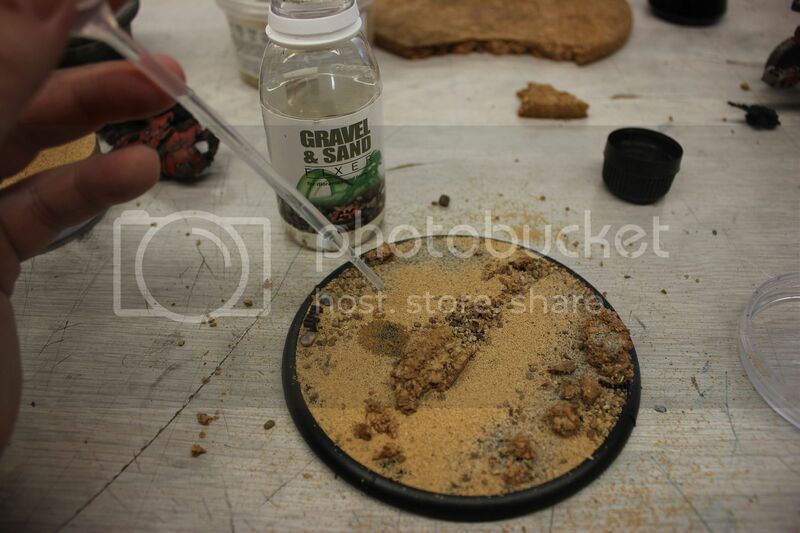 Once everything is in place then you can use an eye dropper, pipette or brush to transfer the water like glue fluid to the basing media. it will flow around and through the area and really seal the materials together. It dries very quickly though I reccommend letting it have enough time to fully cure before stressing it too far. 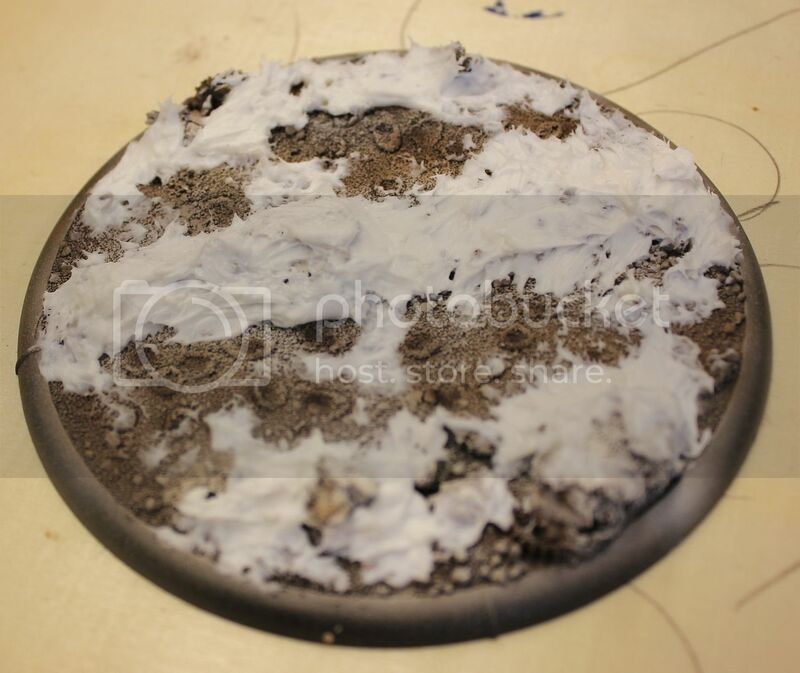 Additional applications of the fixer can also be added later if yo are building up multiple layers of media or is you just want to further secure the basing materials. 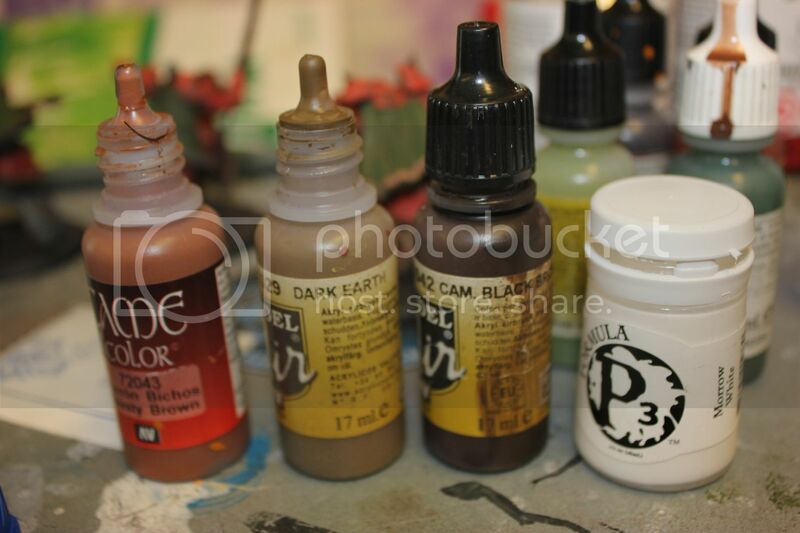 Time to break out your airbrush/paintbrush/fingerpaints/what have ya. I used my usual combo of Vallejo Model Air Camo Black Brown and Vallejo Game Color Beasty Brown with some intermediate tone. In this case I chose a soft earth colour to make it more sympathetic to the snow. I then used white to frost across the whole thing and to plan my snow applications. No more Nails has been my goo of choice for a while now. It is a construction adhesive that dries solid and is white (note they also do a clear version which can also be great for snow/slush etc). It is cuttable, paintable and sandable when dry, bonds foam like a dream, washes up easily (this is a big one for adhesives), has no fumes, is repositionable for about 20 minutes, grabs instantly and sets up fully in a couple hours. So for snow I like to use it to build the forms of snowbanks, drifts and bulkier areas where snow flocking etc just wont cut it. 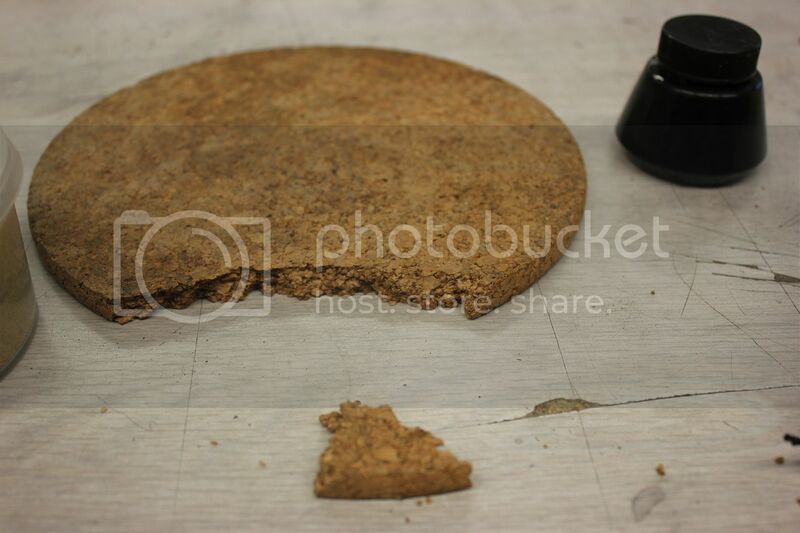 So what I have done below is to take some and simply smear it in place with a small piece of cardboard. I sometimes use a palette knife or old brushes to retexture it along with my wet finger. You can see here that this is my initial application and that I have focused on creating deeper snow in the track area between the Gun carriages wheels and where the horses will walk and again to the outside of those areas. This, along with those earlier hoof impressions, helps to tell the story of a Khadorian road that is used for moving large amounts of wagons, gun carriages, troops etc. in supporting the war efforts. As discussed in previous posts I always try to give some sense of place and time to my bases so that they genuinely add to the presentation of the piece in a meaningful way. Here it is all gooed up! 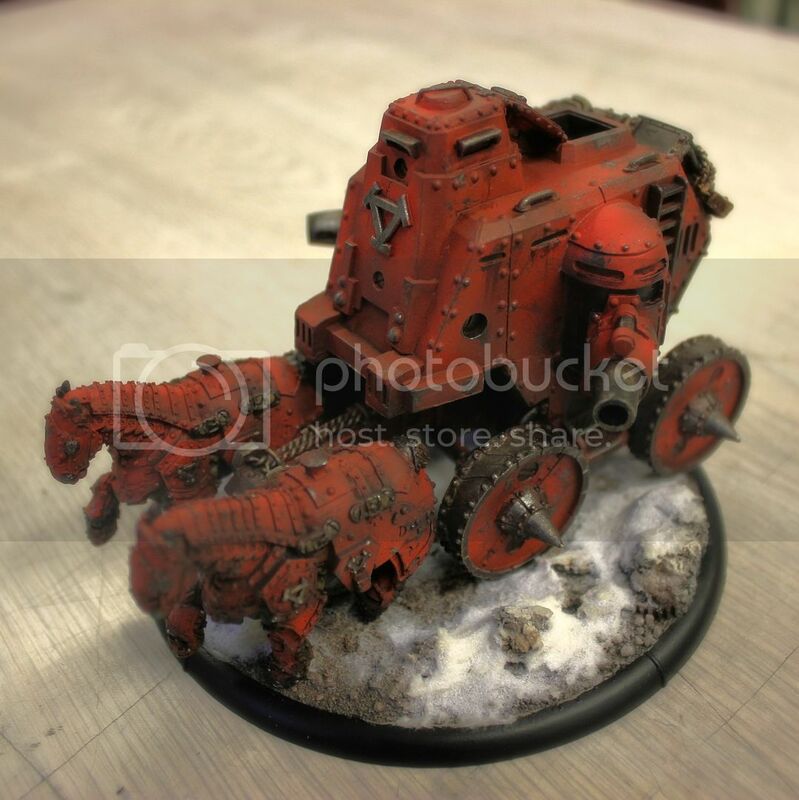 I sprinkle my snow flock of choice (in this case GW because he had already used it on other models in his army but I will list a few others at the end of this article!) and gently press it into the surface with my fingers as well. This is what I get! I now walk away and let this dry overnight to harden up. When I return I add yet another layer of snow flock using a couple of methods - first I use a little more of the sand and gravel fixer to patch onto any parts that the initial layer didn't adhere to as well as I might have liked. 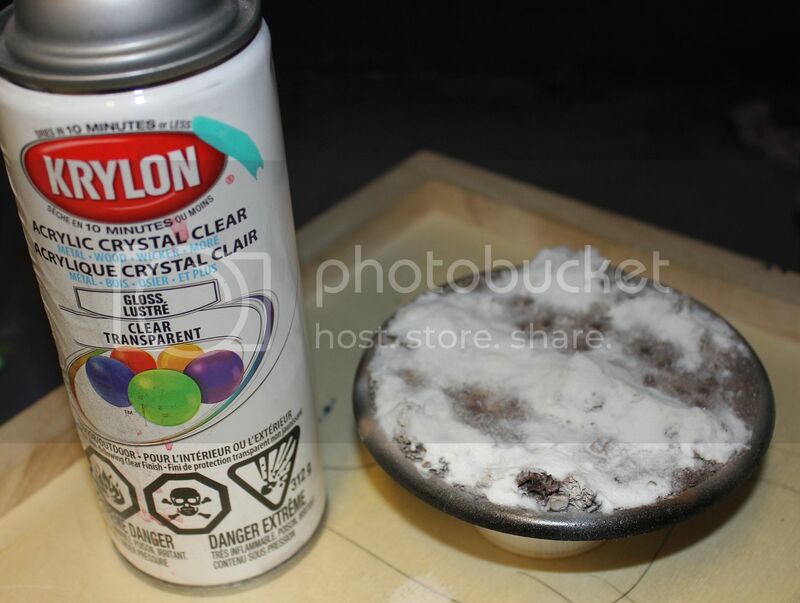 Given 20 minutes or so to set up I ten break out my rattle can of Gloss Varnish and give the whole thing a spray. 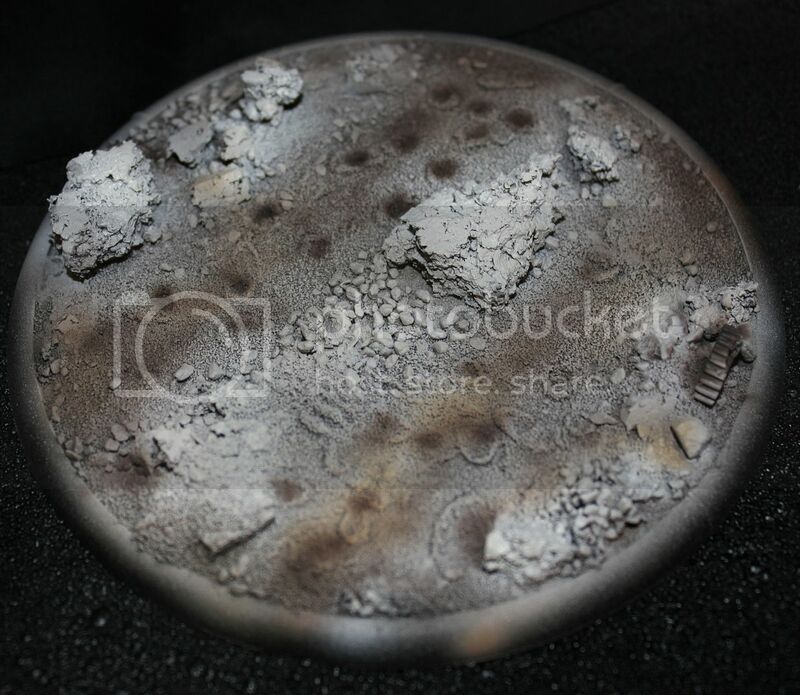 This helps the snow flock that is already there to adhere even better (as this is a functional gaming base and will be thoroughly handled) and it gives additional sparkle and shine to the snow while giving a bit of an impression of wet slushiness to the well travelled trail areas. I then carefully sprinkle and pat additional snow flock directly on/into the gloss coated area to moderate the effect - allowing for some slush and sparkle but also maintaining the cold dry snow zones. It is Friday as I write this and I am totally wiped out from a tough week so I'm not entirely sure I made sense in explaining this section but I like the end result and hopefully with trying it out you will find that I speak the truth here! Anyhoo here is the result!